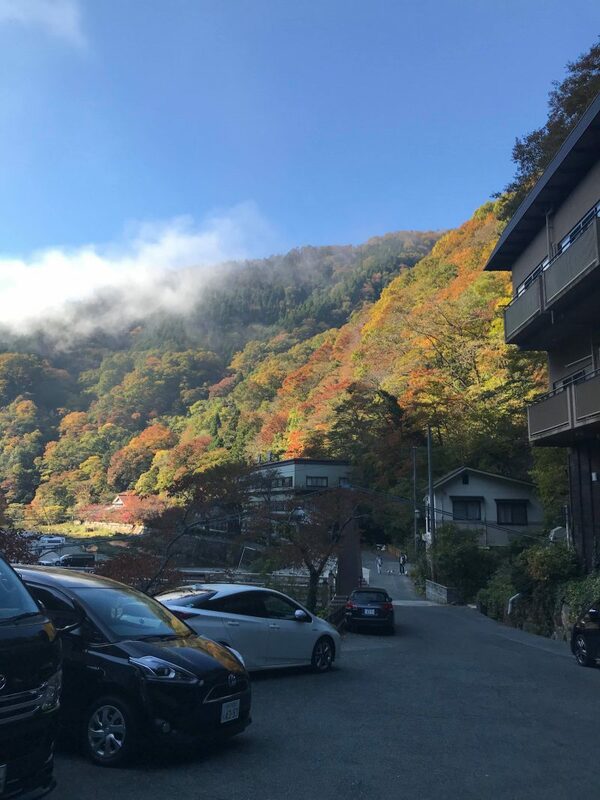 In Japan temperature dips after scorching summer, the colors of the leaves change into vibrant shades of orange, red, yellow, & brown. A gorgeous sight which inspires poets and artists. The natural phenomenon is called koyo or momijo (meaning red leaf). Also the activity of searching for the most striking shades of leaf is known as Momigari (red leaf hunting). It has been popular in Japan for centuries & now attractions for tourists. Color leaves & cool temperatures make people enjoy autumn. This pleasant wheather, many people enjoy going for outing to enjoy good views of the leaves turn red and yellow. 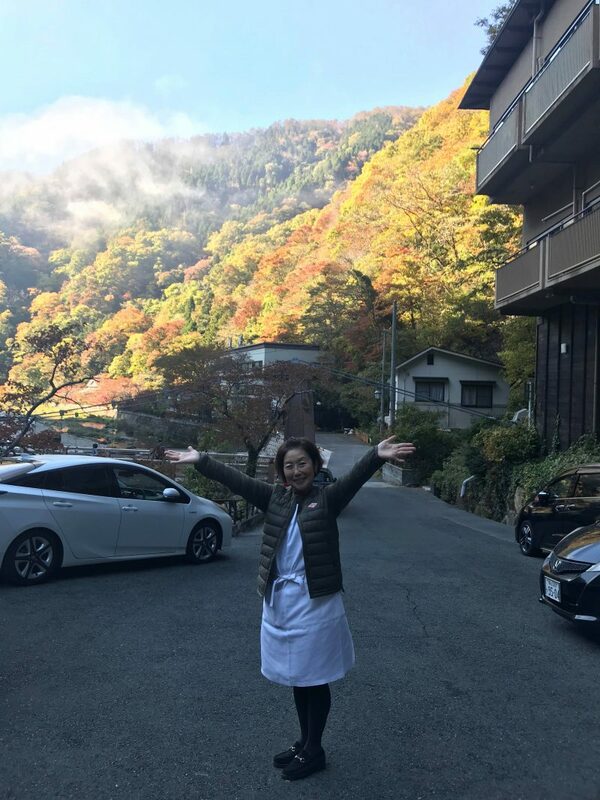 There are many sightseeing spots all over Japan, these day Yubara - Maniwa in front of Hakkei you may see beautiful shades of leaves as some moments in above picture. This week Okami san smiles with beautiful leaves. Mountains turns in different color shades. All tourist are welcome to see the beauty. Foreigner are also welcome to see the change of seasons and capture the beautiful images with us.